I always tell my friends that I should have been born a man. Not that I’m into girl action (although there’s absolutely nothing wrong with it) but more like I act like one all the time, sometimes probably even more so than Yuye. I know, this is sounding a bit weird. Let me explain. I would always eat a lot whether at restaurants or at home and Yuye has exclaimed more than a few times that ‘you sure eat a lot for a girl’. Ahem, excuse me? I’m allowed to have a good appetite when the food is good. I also eat my food in a way that often might not seem ‘ladylike’ to a lot of people but again, my excuse is that the way I eat pays compliments to the cook for making such delicious food! 1. Toast bread until slightly golden, I usually just put them on a flat pan or in the oven. 2. Melt the butter in a flat pan on medium high, careful not to burn it. 3. Fry garlic until just before it turns brown and add in mushrooms. 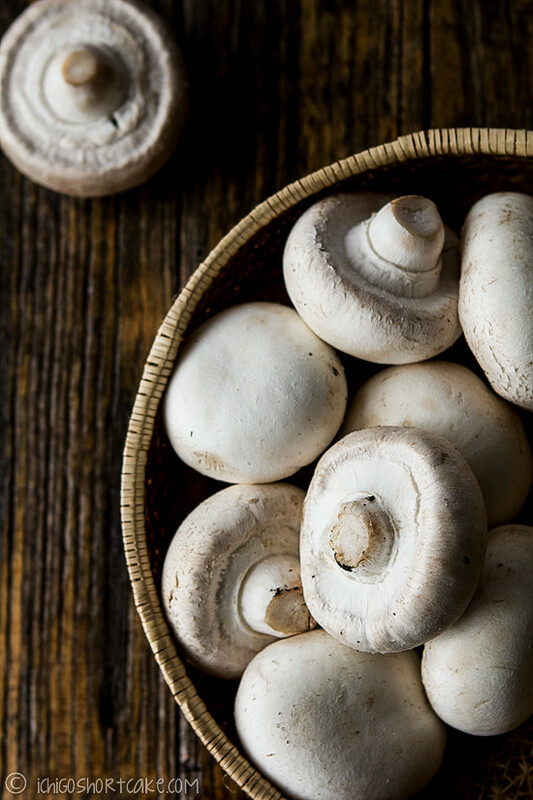 Cook until mushrooms are soft and slightly turned colour. 5. 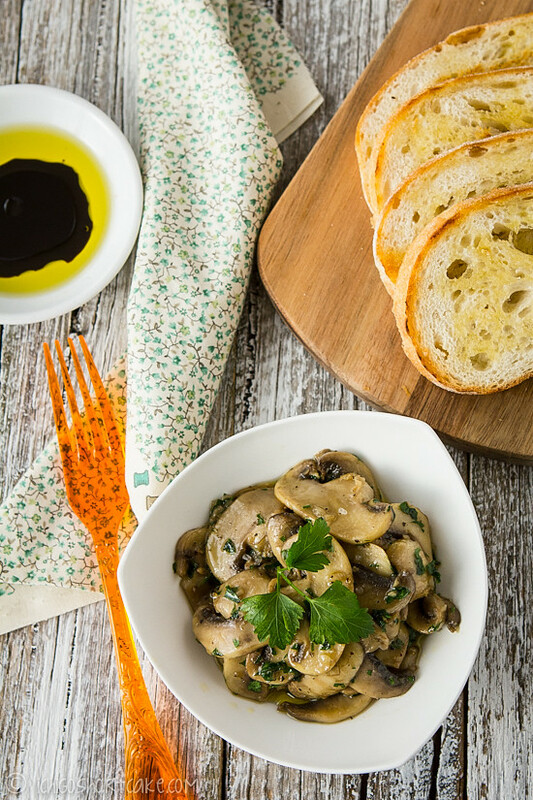 Add salt and pepper to taste, garnish with parsley leaves and serve on bread or in a bowl as a side. WOW, those are some gorgeous photos. Makes me want to get into the kitchen this minute! I totally steal the discarded fatty bits off other people when they come from delicious things like duck and pork. P.S. Your crostinis look delicious! What delicious crostini and toppings! Yum! OMG these look better than the mushrooms I get from the cafes that I visit 🙂 YUM! Great recipe and it’s so easy and yummy looking! I’m definitely going to give this a go especially since mushrooms are now on sale hehe and they’re SO good for the body! How sublime! …and if I wasn’t sold on your descriptions or title, I’m literally selling the cow when I get to the pictures! YUM!!! Alas, sorry poor belly, but for me, the oilier the food the better… I love this – I make something a bit similar with grated cheese too! Beautiful photographs Jenny! I love making this for parties. 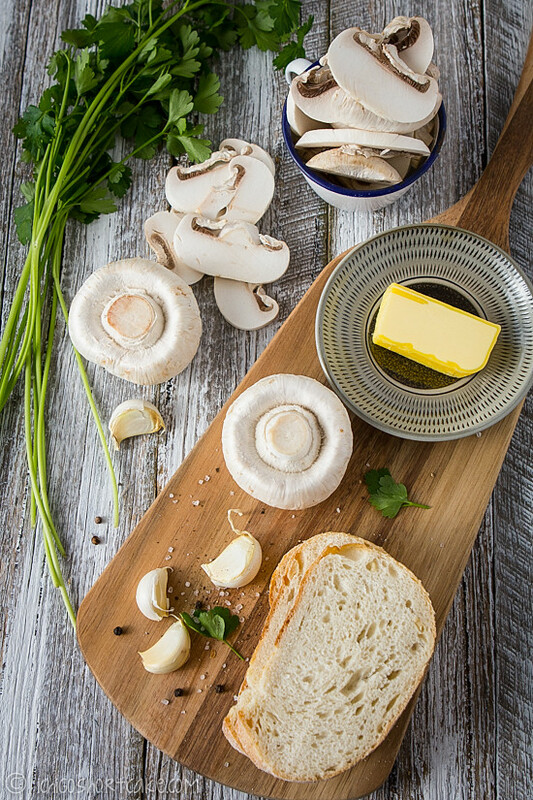 Nothing gets the appetite going like some meaty, buttery mushrooms on toast. 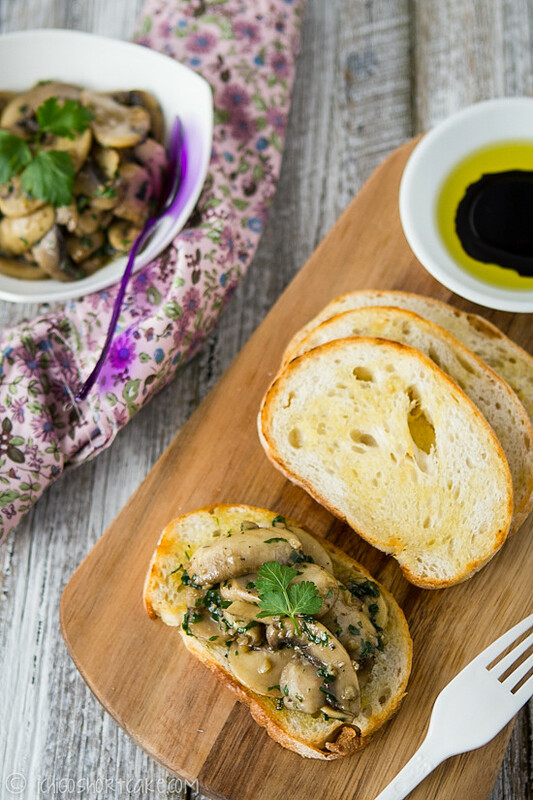 So easy and delicious – mushrooms and butter with sprinkle of good salt and pepper is my favorite but never had it as crostinis! 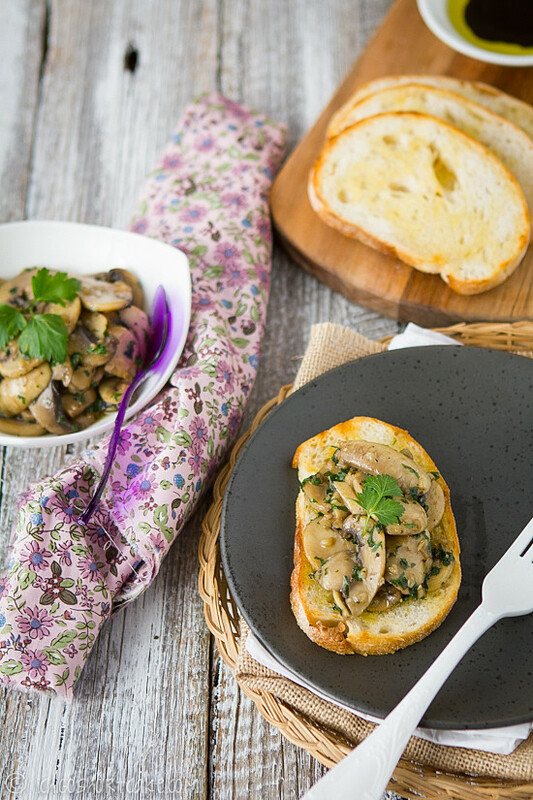 I will definitely try this when I saute mushrooms next time! Love your pictures so much, Jenny! Fat carries flavor – and I’m all for flavor. So yes, I eat the skin and other “oily” stuff. Nice recipe, great pictures. That second one is fantastic – such lovely light. 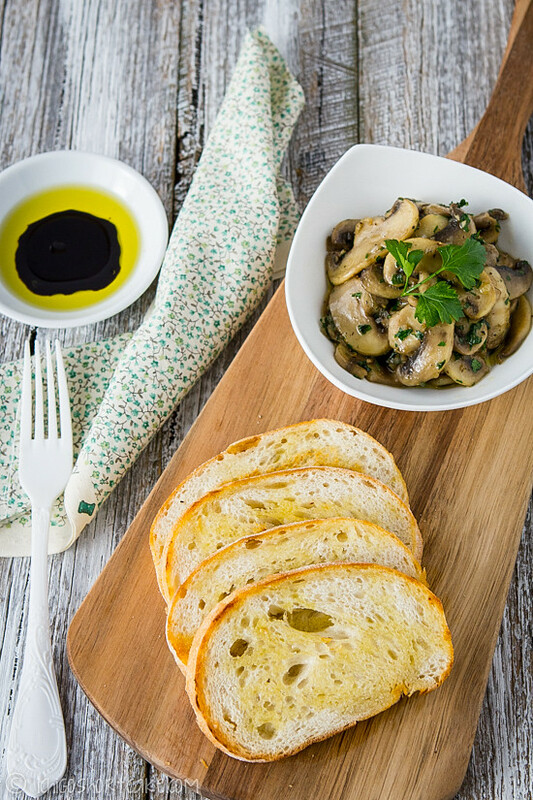 Simple flavours are the best and mushrooms have so much flavours themselves :). Great food photography as always!